Just few weeks ago, Airtel launched its 4G LTE service in Ibadan Nigeria, now the telco has just rolled out its 4G LTE service in Lagos state. Subscribers in Ibadan has been enjoying this service since February and have testified that the speed is very impressive. Currently, Airtel 4G LTE service is available for use in Ibadan and Lagos State here in Nigeria. Other states like Kano, Port Harcourt, Abuja and some other states will get the service extended to them soon. The interesting part of this is that, Airtel 4G operates on Band 3 (1800MHz) which almost all 4G enabled Android devices are using. If you are in Lagos, you can now get your Airtel 4G LTE sim with free 4GB of data after activation. 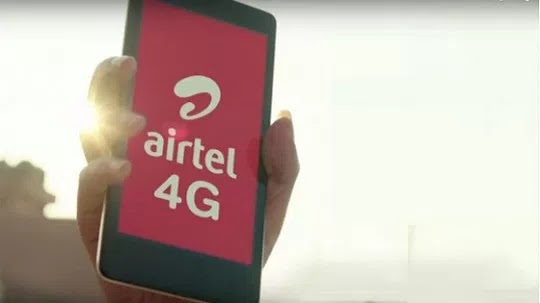 Below are what you should take note of about the new Airtel 4G service. You’ll require a sim swap inorder to be able to access Airtel 4G LTE service. You will have to walk into any Airtel office near you with a valid means of identification to carryout your sim swap. The 4GB bonus data is usable on 4G network only. If you are in Lagos and have carried out your sim swap, kindly share with us your experience with the service.